Three working papers investigating different dimensions of female labour supply in central Asia are now available on our website. Women Left Behind in Tajikistan The consequent changes following the migration of the main income provider of a household could bring impacts on other household members’ economic decisions. It is observed that when men migrate, female labour force participation rate tends to drop in the originating country. On the contrary, Sophia Kan (University of Göttingen) shows that migration has negligible effect on female work hours in Tajikistan. Potential mechanisms are proposed and discussed. Social Transfers in Kyrgyzstan Female labour force participation rate in Kyrgyzstan remains low and stagnant. On the other hand, social transfers represent a significant percentage of GDP and reach a large share of the population in Kyrgyzstan. Armando Barrientos (The University of Manchester) and Alma Kudebayeva (The University of Manchester and KIMEP University) show that social transfers are indeed correlated with lower probability of female labour participation and fewer female work hours. Patrilocal Residence in Kyrgyzstan The newly-wedded couple is expected to reside with the husband’s families, especially if the husband is the youngest son of the family in Kyrgyzstan. Andreas Landmann (Paris School of Economics, J-PAL Europe and C4ED), Helke Seitz (DIW and Leibniz University Hannover), and Susan Steiner (Leibniz University Hannover and IZA) study the effect of patrilocality on female labour supply and explore channels through which co-residence may affect labour supply. 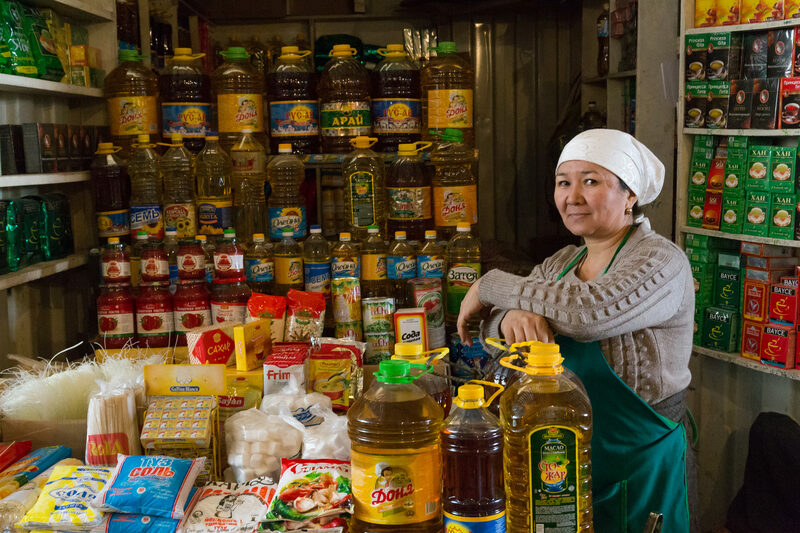 All three economic analyses use data set that is partly funded by GLM|LIC programme through the project Gender and Employment in Central Asia.